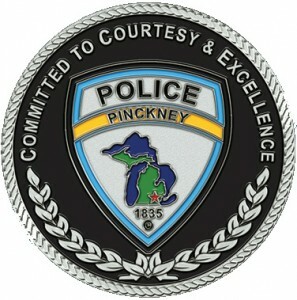 The Village of Pinckney Police Department serves Village residents seven days a week, 24-hours a day. This service is paid from the Village general fund, supported by Village taxes. While an officer is on duty at all times, the office itself is only open during regular Village Hall office hours, 9 am – 3 pm, Monday – Thursday. 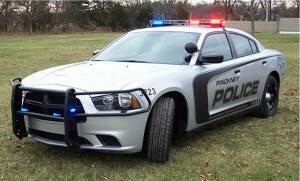 You can contact the department during business hours at 734-878-3700. After business hours, please note that an officer may not be in the office and available to answer your call immediately. Please leave a message and your call will be returned as soon as possible. After hours, you may contact the department through Livingston County Central Dispatch at 517-546-9111. NOTE: this is the NON-EMERGENCY number for Central Dispatch and a good number to have. Always call 911 in emergencies. Free family drug kits: Concerned that your teenager or other family member is using drugs? We now have free family drug kits at the police department. There is no charge, no questions and you may pick one up discreetly.